· Heat ½ tsp of oil in temper pan add slited green chilly and hing powder fry for 2 to 3 min. · Grind grated coconut and fried green chilly and hing into fine paste. · Add 2 to 3 cups of water and salt to this paste mix well. · Boil this for 5 to 10 min. 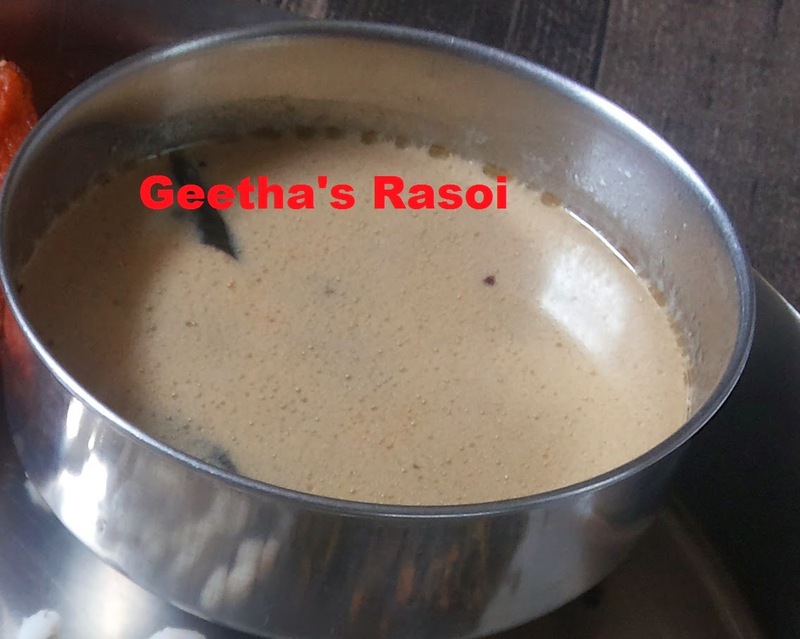 · Heat ½ tsp of oil add mustard and curry leaves fry till it splutter pour this on boiling rasam. · Serve this with rice and papad. Or can drink like a soup.